ProTherm Flex Infill is used to infill at perimeters and around penetrations in conjunction with ProTherm Quantum ‘Hybrid’ and ‘Pure’ VIP insulation boards, ProTherm Flex Infill Boards are an all-round thermal insulation board with smooth surface and overlap. 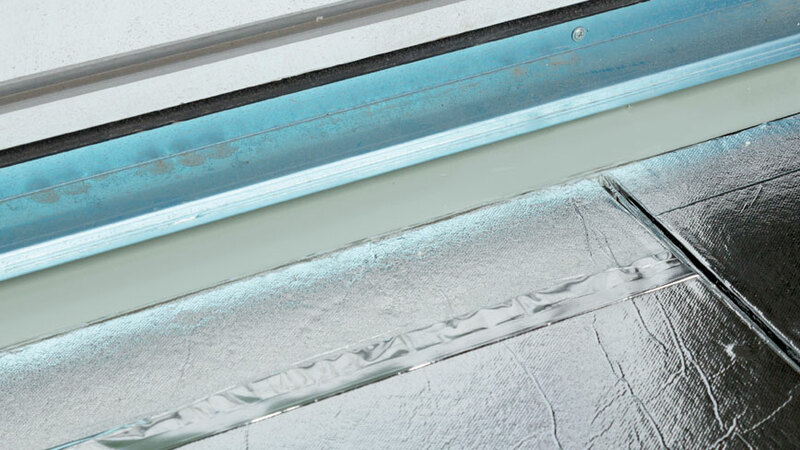 For use in the ProTherm Quantum VIP Insulation System installed over any BBA Certified Inverted roofing systems. 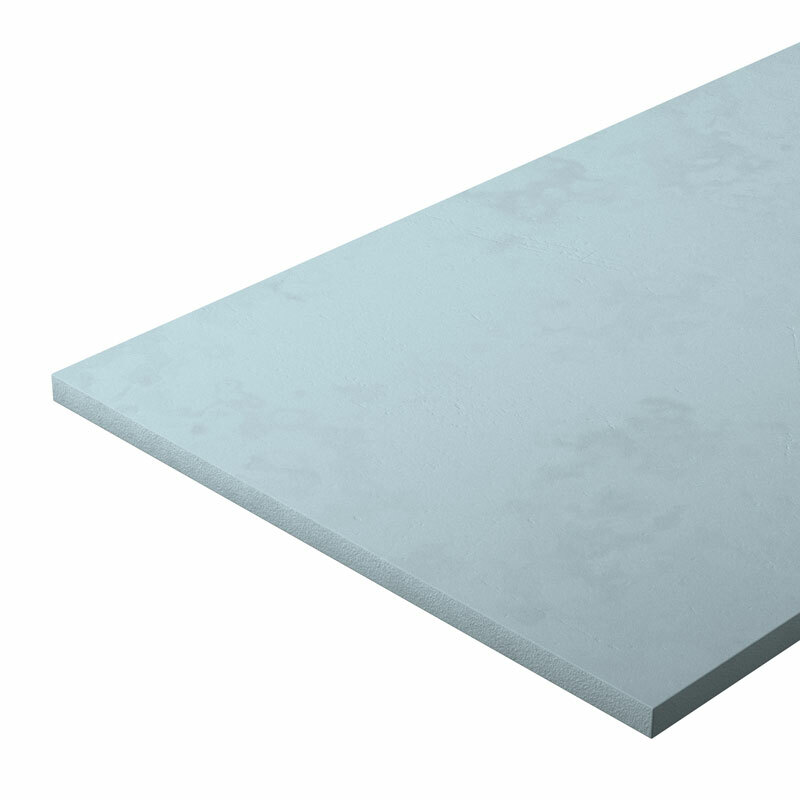 ProTherm Flex Infill is a rigid, closed cell type Extruded polystyrene board with integral high density skin. ProTherm Flex Infill has a Zero Ozone Depletion Potential (ODP), a Global Warming Potential (GWP) of less than 5 and an A rating in accordance with the Green Guide to Specification. Apply ProTherm Flex Infill parallel to roof perimeter long edges. Stagger end joints. Lay ProTherm Flex Infill with edges in moderate contact without forcing. Cut ProTherm Flex Infill to fit neatly to perimeter blocking and around penetrations through roof, when using a 2nd layer stagger joints of insulation from first layer. 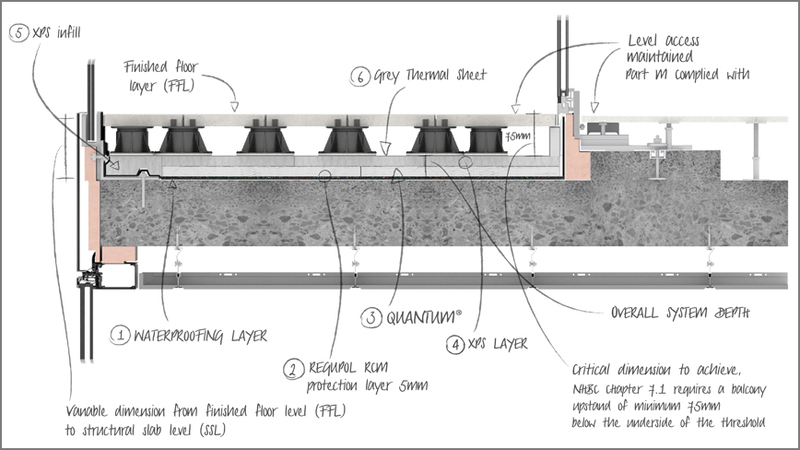 Cut ProTherm Flex Infill to create an opening large enough to accommodate the installation of either a domical or flat grate into a flanged rainwater outlet. Apply no more ProTherm Flex Infill than can be covered with aggregate ballast/concrete roof pavers/green roofing in the same day. Keep ProTherm Flex Infill minimum 75mm from heat emitting devices, and minimum 50mm from sidewalls of chimneys and vents. Click on the items above to view or download information. To download multiple items as a zip file click + to add to a collection. Please Login before adding files to a collection.